JAKARTA (Reuters) - About 100 residents of a gritty commercial district of Indonesia's capital listen intently as a man roars into a microphone: "Are you ready to change our president? Are you ready for new leadership?" But this is not a political rally. 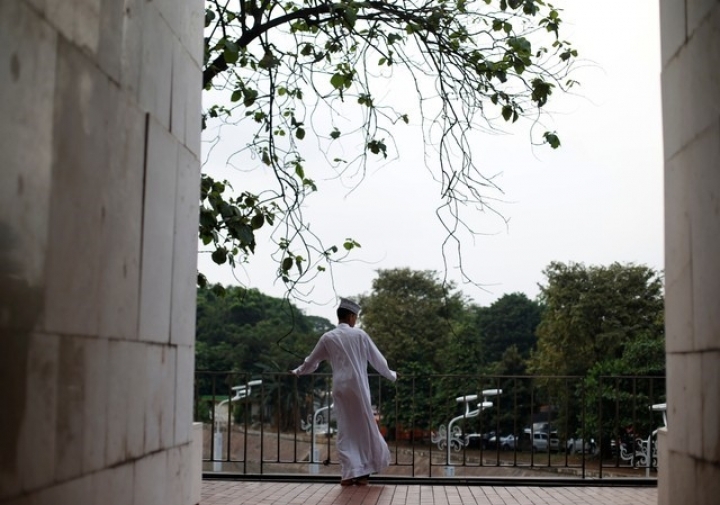 Dressed in white robes and a turban, Novel Bamukmin of the Jakarta chapter of the Islamic Defenders Front (FPI), a hardline Islamist group, addresses evening prayers in a mosque. As a year of local and then national elections begins this week in the world's biggest Muslim-majority country, some Islamic leaders have emerged as the most vocal opponents of President Joko Widodo, who is expected to seek a second term next year. They belong to a loose grouping of Islamists behind protests that culminated in the election defeat and jailing for blasphemy in 2017 of Jakarta's ethnic-Chinese and Christian governor, Basuki Tjahaja Purnama, a Widodo ally. 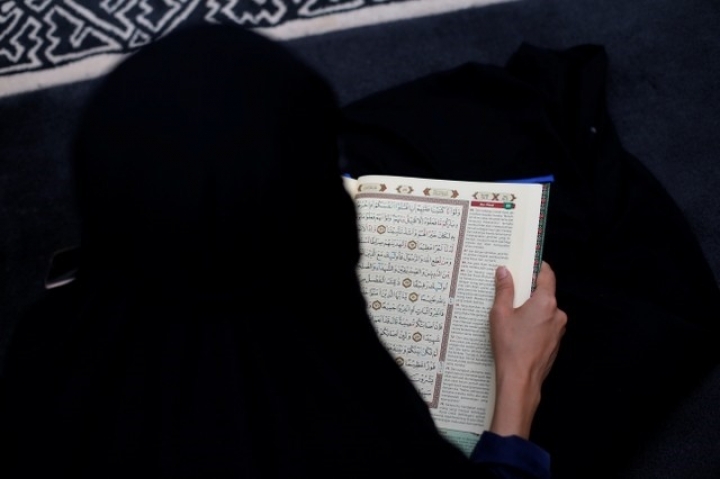 The case of Purnama, who had said political rivals were deceiving people by using a verse in the Koran to say Muslims should not be led by a non-Muslim, showed how Islam had crept into politics in the officially secular country. Widodo has pledged to protect Indonesia's tradition of pluralism and moderate Islam, and he has banned Hizb ut-Tahrir, a hardline group with ambitions for an Islamic caliphate. But a senior government official conceded there are limits to how much the government can control political messaging in mosques. "Any action against this phenomenon is blasted as anti-Muslim so our actions are restricted," said the official, who declined to be identified because of the sensitivity of the issue. A former furniture maker and Indonesia's first president from outside the political and military elite, Widodo - known as Jokowi - has remained popular since he took office in 2014. He is widely seen as an honest man of the people, rare for a leader in a country where the political class is scorned as corrupt and aloof, and his push for infrastructure and cutting red tape has burnished his image as a hands-on leader. A recent opinion poll gave him a double-digit lead over the opposition Gerindra party's Prabowo Subianto, a retired general who is expected to run a second time against Widodo in 2019. Opponents and hardline Muslim groups, including the FPI, accuse Widodo of failing to stem income inequality or deliver higher growth, but the most incendiary attacks have often been around religion and ethnicity. False accusations have spread on social media that the president is not actually Muslim and is a descendant of ethnic Chinese communists. Widodo has sought to strengthen his ties with moderate Islamic leaders and he recently appointed a controversial hardline cleric as a communications adviser. "The only way for the opposition to win is to debunk the argument that Jokowi is one of the masses, and to attack his weakest spot, which is his shyness in showing his religion," said Achmad Sukarsono, a political analyst at Control Risks. Ahead of local elections across much of the country on Wednesday, the anti-Widodo sentiment has crystallized into a movement called "#GantiPresiden2019" or "Change the president in 2019". The movement's founder, Mardani Ali Sera, a member of parliament from a conservative Islamic party, says he has no connection with political messaging in mosques. But he says the majority of those affiliated with his movement are from Islamic parties and the groups that opposed Jakarta's Christian governor. "We don't use mosques but if the hashtag and the movement works for you, then go ahead and use it," Sera, who is active on social media, told Reuters. The FPI's Bamukmin supports the #GantiPresiden2019 movement and said he and other preachers push that message in sermons. "It is the duty of Muslims to try and replace the current president who has betrayed the country and his religion," he said, accusing Widodo of "selling the country to foreigners" and "empowering communists and deviant religious sects". 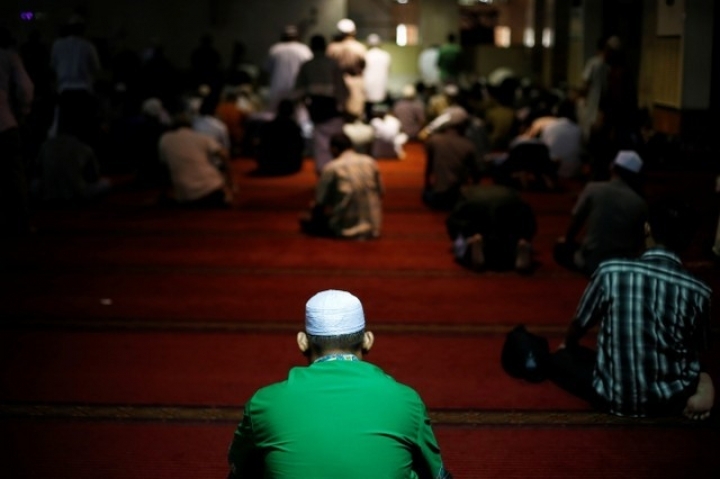 Indonesia's election laws prohibit political campaigning in places of worship ahead of polls. Vice President Jusuf Kalla told media political discussion is allowed in mosques because they are places of education as well as worship, but campaigning is not. The government can do little to stop such activity in mosques, said a spokesman for the religious affairs ministry. "If there are clerics who use mosques for political interests, it's better that the public itself persuades them to stop. It is not in the ministry's capacity to identify or stop them," said Mastuki, who goes by one name. Tens of millions of Indonesians will vote in 171 elections for mayors, regents, and governors on Wednesday, an important barometer ahead of presidential and parliamentary elections in 2019. Opinion polls suggest candidates backed by parties supporting Widodo will win in many parts of Java, Indonesia's most populous island, but observers will be watching for signs of Islamist influence. One man who attended FPI preacher Bamukmin's sermon in Jakarta this month, said even if clerics were becoming more political, their congregations were smart enough to decide for themselves. "People just listen to the good points and ignore the rest," said Huda, 27. Indo Inquirer is the leading online news network in Indonesia, providing daily breaking news with in-depth news coverage and the best photojournalism. We deliver compelling and diverse engaging stories around the world. Copyright © 2015 - 2019 Indo Inquirer. All Rights Reserved.